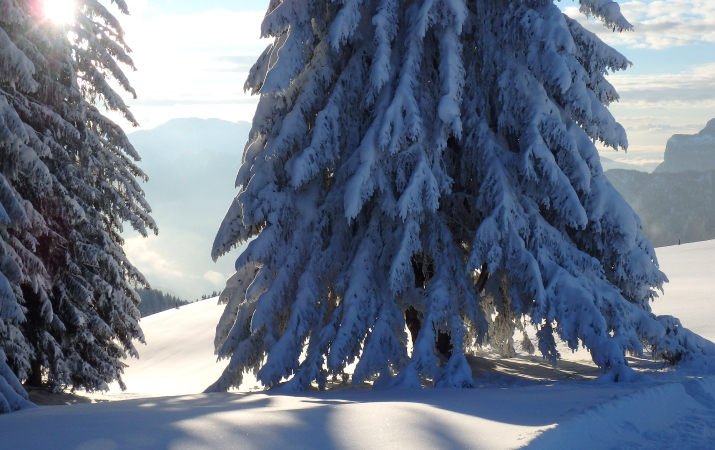 Atelier Alain Ellouz takes you to the top of the slopes! You are fond of mountains, snow, skiing but more than anything you like to come back to the comfort of a welcoming chalet after a nice day on the slopes ? So does Atelier Alain Ellouz ! Let’s go for a tour to the heart of the Alps to discover three of their projects in an exceptional setting! What is indeed better than the immensity and whiteness of the mountain to reflect the beauty and transparency of alabaster? It all began in 2007 when the interior designer Sybille de Margerie asked us to create the alabaster reception counter of the LVMH luxury hotel Le Cheval Blanc in Courchevel. The resonance between the whiteness of alabaster and the whiteness of the snow is immediate, and the marriage is perfect. Several projects will follow in Courchevel and Megeve, including two private cottages and another luxury hotel, Le Strato. Atelier Alain Ellouz collaborated a few times with the couple of interior designers Jean-Marc and Anne-Sophie Mouchet, whose skills in designing prestigious establishments such as Les Grandes Alpes is no longer to prove. For this private chalet, the Mouchet have imagined interior windows with frames and a ceiling displaying as a bridge between the immensity of the mountain and the serenity of the chalet. Atelier Alain Ellouz has reproduced the brightness of the snow in backlit alabaster panels that blur the interior-exterior boundaries and open the space. The quintessence of Atelier Alain Ellouz’s know-how at the service of nature! 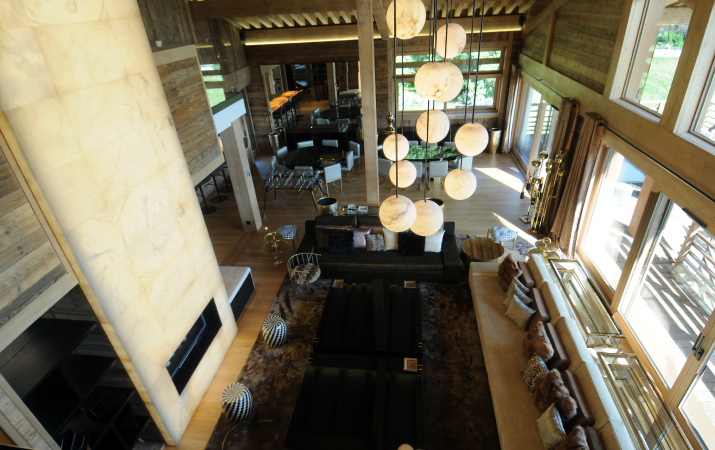 This chalet in Megève was entirely conceived by architects who have included our Atelier since the genesis. The space has been designed on three floors to incorporate a 8 meters high fireplace and a 10 meters wall over the entire height of the house. Raising alabaster so high in such spectacular volumes was a new adventure for Atelier Alain Ellouz. This project was also an opportunity to enhance the complementary oppositions of alabaster: a powerful and delicate material, providing an intimate and majestic atmosphere, sober and festive at the same time. It may not have been the Mont Blanc Ascent but certainly an exciting challenge! 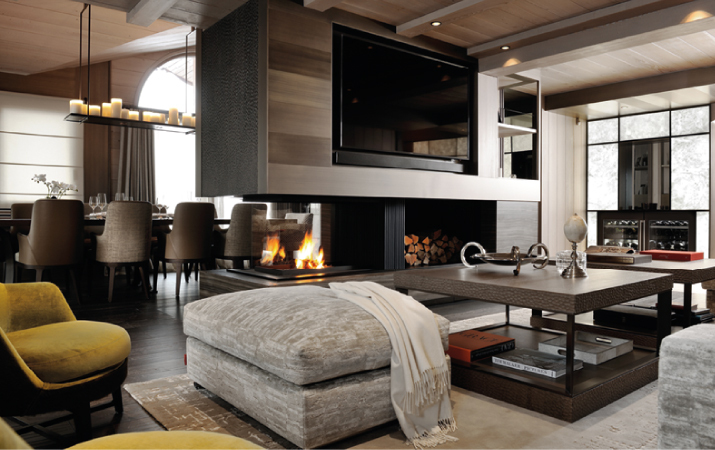 After Le Cheval Blanc, another hotel project led by the the duo of designers Pierre Dubois and Aimé Cécil, better known under the name of Les Héritiers was born : the Strato Hotel, ideally located in Courchevel 1850. 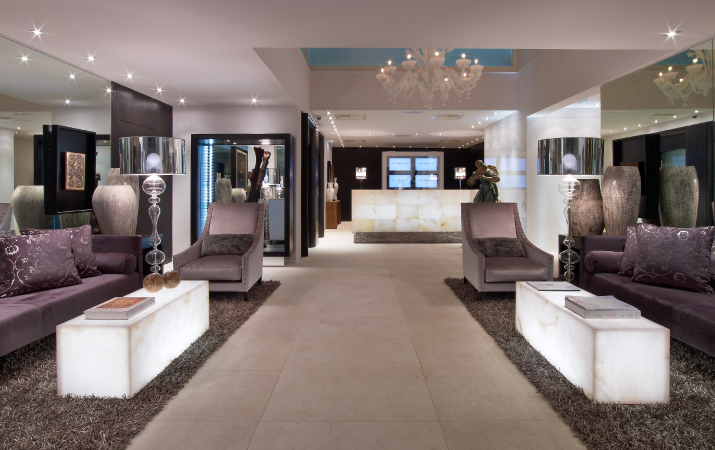 Les Héritiers designed the Strato as a prestigious haven and wished to give the lobby a graceful and crystalline tone. Atelier Alain Ellouz has created specifically for them two one meter wide tables, thought up as real ice sculptures, as well as a reception counter. Here it is not only an evocation of the whiteness of the snow but also a tribute to the crystallization of the ice, its multiple designs and more broadly to the mineral beauty. An ode to the mountains !